Largest U.S. chemical companies to combine in megamerger. Could spark more deals!! 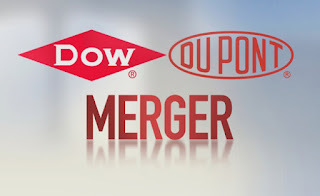 Two American Chemical giants and possibly among the oldest, DuPont and Dow Chemical have agreed to combine in an all-stock merger valued at $130 billion which would be the 18th largest deal ever. Dow Chemical Co. and Dupont Co. that are 118 and 213 years old, respectively, announced the blockbuster, tax free deal that would take two years to complete. Following the completion of the deal's in 2016, the merged entity would eventually will break up into 3 separate, publicly-traded entities focusing on Agricultural products, Material sciences, and Specialty products. The deal, the fifth-largest corporate merger of 2015, would certainly receive scrutiny from federal regulators, especially regarding the new companies place in global agricultural production, including seeds, insecticides, and pesticides. Executives from both companies however said the agrochemicals businesses have little overlap and any asset sales would likely be minor. By revenue, the material sciences company – which makes products for the packaging, transportation, and infrastructure industries, to name a few – will be the largest. Its combined revenue in 2014 was around $51B on an adjusted basis. 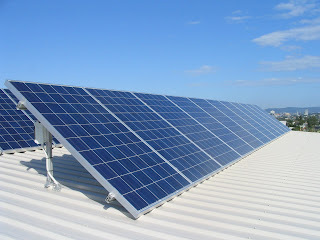 It will compete with the likes of corporate titans BASF, Honeywell, and 3M. The specialty products company, with a combined revenue of $13B in 2014, would sell materials to the electronics and communications industries, among others. The agriculture company, focusing on seeds and chemicals, would have a combined adjusted revenue of $19B overtaking BASF as the leader in agrochemicals. In the seed industry, DowDupont is pitted against behemoth Monsanto. Dow shareholders would own 52 percent of the new company after preferred shares are converted, the companies said. The agreement includes a $1.9 billion termination fee under specified circumstances, such as rejection by shareholders. Prior to the merger, Dupont said in a statement it will slash $700 million in costs, with ten percent of its workforce "impacted" by the move, while Dow is expected to drop $300 million in costs. As per Dealogic , this merger would represent the 18th largest corporate deal of all-time. It would trail the 2015 deals made by Allergan and Pfizer, Anheuser-Busch InBev and SABMiller, BG Group and Royal Dutch Shell and Time Warner Cable and Charter Communications. Dow and Dupont have a combined annual revenue of around $83 billion, with operating profit of about $15 billion.